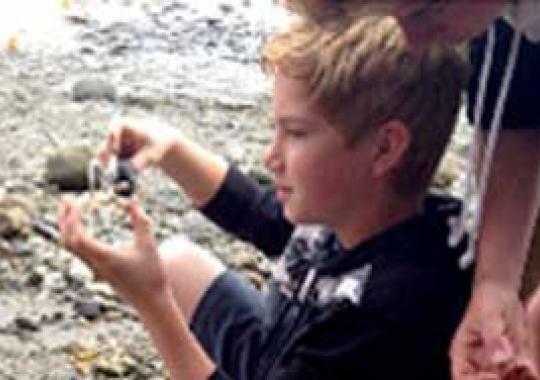 To learn about the topic, students were given small coral fragments and asked to conduct a simple experiment demonstrating how acidic solutions affect marine organisms whose tissues contain calcium carbonate. Those animals, such as mollusks, corals, coralline algae, and pteropods, are most vulnerable to ocean acidification. 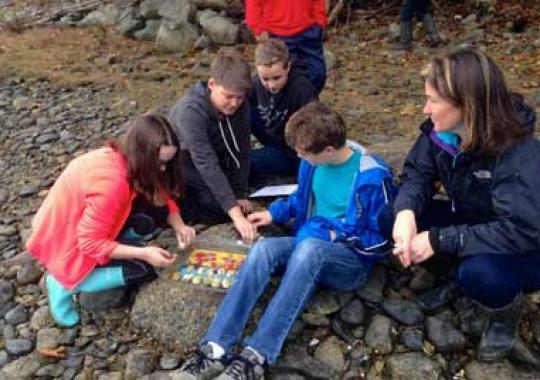 Following the demonstration, Blue Hill students worked with the Friends of Blue Hill Bay to collect acidification data on soft-shell clams (Mya arenaria).